Directed by former stuntman Ric Roman Waugh and ‘inspired by true events’, Johnson plays hard-working truck company owner John Matthews. His ordered life is shaken up when his estranged son Jason (Rafi Gavron) is wrongly accused of selling drugs. With Jason facing a lengthy prison sentence, Matthews makes a deal with D.A. Joanne Keeghan (Susan Sarandon) to become an undercover informant and deliver real drug dealers to the police. With no prior knowledge, he seeks help from his employee Daniel (Jon Bernthal), an ex-con who’s trying to get his life together. This core storyline of a father risking everything for his family has been seen many times before, and Snitch doesn’t exactly reinvent the wheel. The straightforward plot does drift into the realms of implausibility at times, but for the most part this is a compelling watch due in large part to its well-realised characters. The interactions that John and Daniel have with their families make us really invest in their characters. When the action does come around, Snitch’s set pieces are well-staged and feel suitably intense, if a tad restrained. What’s more, at times Johnson’s imposing figure is detrimental to the film, particularly when he doesn’t defend himself against thugs whom he would normally overpower. However, the actor does a great job at portraying John’s vulnerability. 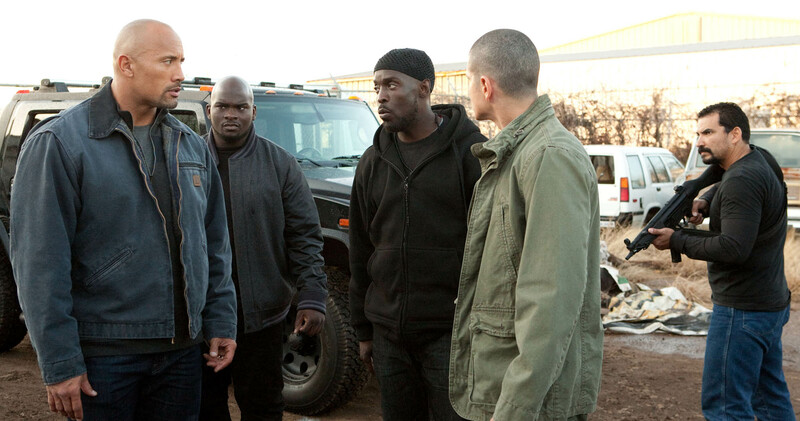 Bernthal is equally good as Daniel, who is forced to make some difficult decisions of his own. Of the supporting cast, Barry Pepper and The Wire alumni Michael K. Williams deliver engaging turns as DEA Agent Cooper and drug dealer Malik respectively, whilst Sarandon is sadly rendered a cliché for much of the proceedings. The trailers for Snitch mis-market the film as another dumb action flick. Upon closer inspection, Waugh’s film has a lot more substance than flash, and the solid performances elevate the material beyond standard genre fodder. This entry was posted on June 21, 2013 by Amonymous. It was filed under Film Reviews and was tagged with Barry Pepper, Benjamin Bratt, Dwayne Johnson, Jon Bernthal, Michael K. Williams, Nadine Velazquez, Rafi Gavron, Ric Roman Waugh, Snitch, Susan Sarandon. The Rock does what he can, but the rest of the material and cast is what keeps him from falling flat on his face. Good review.